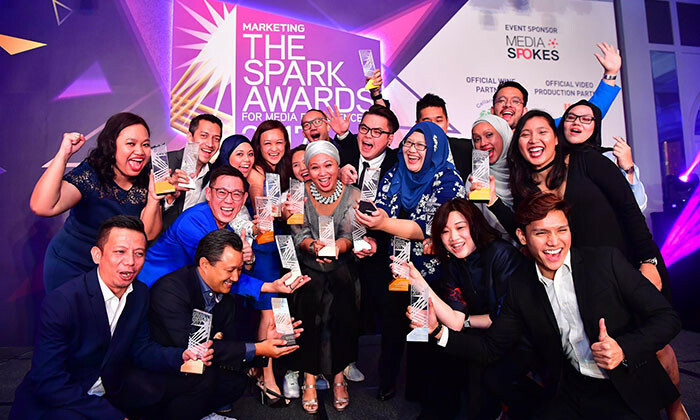 Marketing is delighted to unveil the finalists for the The Spark Awards For Media Excellence 2018 . The award, which celebrates the best media solutions, products and services that the region has to offer, recognises media owners and solution providers across different verticals who showcase the most innovative, effective products and services offered to their advertisers, agencies and clients over the past year. Gold, Silver and Bronze trophies will be awarded across 27 categories. The organisation with the highest number of winning entries will earn the coveted title of the Media Owner of the Year. Check out the full shortlist here. The awards has been judged by senior client-side marketers and agency-side practitioners. This year’s panel includes marketing leaders from brands such as A&W, GO-JEK, Johnson & Johnson, Mead Johnson Nutrition, Prudential and practitioners from agencies like Dentsu X, Essence, Havas Media and OMD. See the full panel of judges here. The awards ceremony and celebration of the region’s best offerings will be held on 17 August 2018 at the Shangri-La Hotel Singapore.